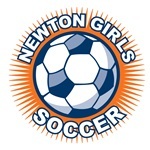 Newton Girls soccer is committed to player health and safety. US Soccer recently introduced “Recognize to Recover” which is aimed at promoting safe play and reducing injuries in soccer players of all ages. The first-of-its-kind, the program was developed with the help of medical experts to provide coaches, players, parents and referees with information, guidance and additional educational materials to improve the prevention and management of injuries.